If you’re a first-time fifth-wheeler, you’ll need to make sure you have an appropriate tow vehicle and hitch to get started. The most important factor to consider is for the Gross Vehicle Weight Rating of the truck to exceed that of the trailer and trailer tongue weight combined by no less than 10 percent to ensure your fifth-wheel doesn’t overpower your tow vehicle. Most people with a bed-mounted trailer hitch on their camper will need at least a three-quarter-ton truck to get the job done. Additionally, be aware of the length of the truck bed, as you need space in front of the actual hitch so the trailer won’t hit the back window of the truck cab. If you have a truck with a shorter bed, you may need to invest in a slider hitch, which allows you to move the connection point forward or backward depending on your needs. 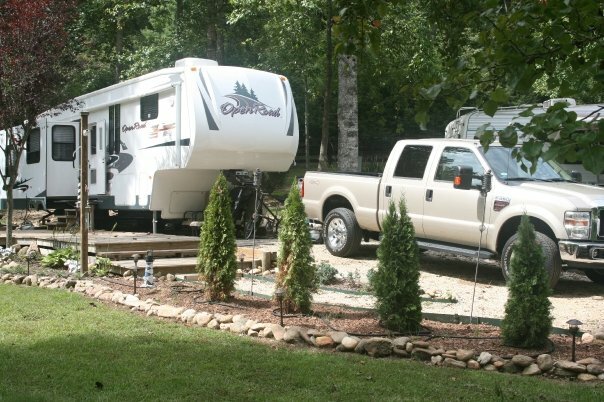 To avoid towing issues and keep you safe, there are several precautions you should take to maintain your fifth-wheel and all its mechanisms. One major part to be aware of is, of course, the trailer hitch. Make sure you regularly inspect and re-lube the hitch, and give it a thorough check for any damaged or missing parts before you hook it up to your truck. You should also check the torque each time you leave for a trip, and tighten any nuts or bolts to make sure you don’t accidentally come un-hooked on the road. In the event your vehicle does detach, it’s important to make sure your breakaway cable and lock are working properly. Since fifth-wheels are equipped with their own brakes, you should be inspecting the trailer’s brake wires at least every six months. Pull off the wheels so you can clean and thoroughly check the brake pads and drums and replace any worn or damaged parts. You should also be aware of your rig’s wheels, and the trailer’s wheel bearings must be cleaned and inspected every 12,000 miles to keep them functioning properly. Do a quick check of the suspension and axles as well, and you’re in good shape for a cross-country adventure! Once it’s time to hit the road, there are a few extra considerations to take into account. One of the biggest differences between driving your tow vehicle on its own and driving it when hitched to your fifth-wheel is that the trailer wheels will not follow the truck wheels through a turn, as the trailer’s arc will be inside that of the truck. When it comes time to make a turn, drive as deep into the intersection as you possibly can before making the turn to give the fifth-wheel more room around the corner. This will help you avoid curbs and other hazards when navigating tricky roads. You’ll also need to give yourself an extra space allowance if you tow your fifth-wheel through traffic as a safety precaution. You need all the stability you can get when pulling a large rig, so don’t be afraid to slow it down when necessary. Fifth-wheel campers offer a fun and luxurious solution to your travel needs with proper care and maintenance. 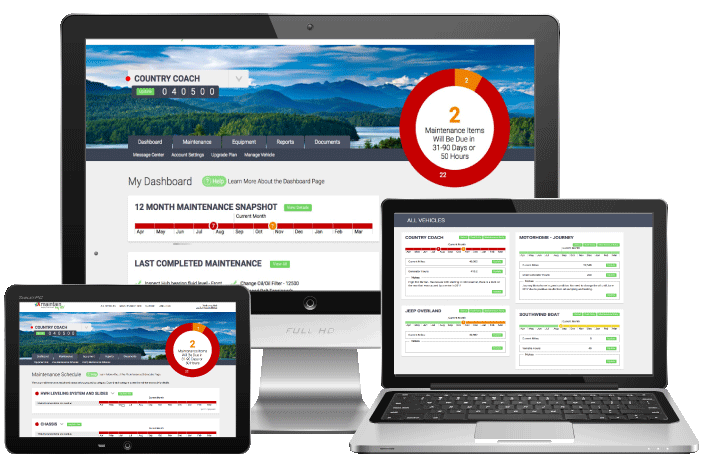 To help track all your fifth-wheel upkeep needs, be sure to utilize your online maintenance checklist through MaintainMyRV.com, which will help you schedule and log any services you need to ensure your mobile home runs safely and smoothly wherever life takes you.